Delivered to your door in 3 weeks! 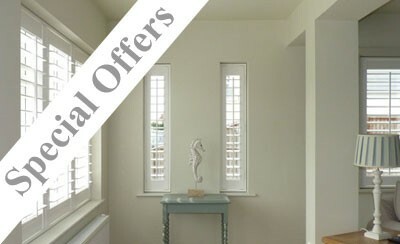 Order by Wednesday, get shutters delivered to your door 3 weeks later! No need to wait 3 months for our shutters! How does 3 weeks sound instead?! Step by step video guides mean that a set of Whiteshutters are quick to order and extremely easy to fit! 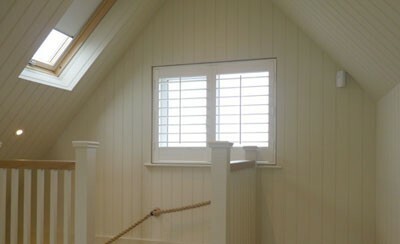 We have perfected the art of designing, measuring and installing DIY shutters to make fitting simple for you! 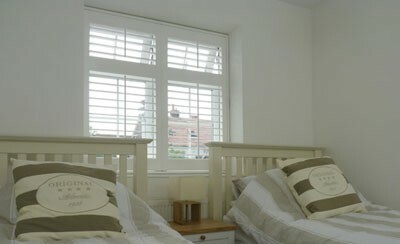 Welcome to www.whiteshutters.co.uk, dedicated DIY suppliers of advanced low maintenance, easy to install, durable plantation shutters. Our DIY shutters are made in the UK so we can deliver them to your door in just three weeks. We are a specialist online business committed to helping you order ‘do it yourself’ or ‘DIY interior window shutters. We are a specialist online business committed to helping you order ‘do it yourself’ or ‘DIY’ interior window shutters. We have selected the most popular window type, designs, options, and colour, and created a simple way for you to order DIY shutters online to save you money. Our experts have created a unique set of video guides that can take a complete DIY novice and show them how to design, measure and install window shutters professionally and simply. Rather than loading our website with options and leaving you to it, our video guides will take you on a journey from beginning to end. We will explain exactly what type of design will suit your window shape, the best place to install shutters and how to measure accurately and properly. We explain and show you what fitting clearance is required for each style of fitting and provide the formula you need to convert your window sizes to actual order sizes. You can see how to input your order details onto our website as we clarify each step to make sure your order details are 100% correct. With our automated ordering, advanced UK manufacturing and delivery system, we can deliver your shutters in as little as three weeks. All orders are delivered mid-week on a Wednesday by UPS. Once you have received your shutters, you can fit them to your windows straight away! All our shutters come fully assembled with hinges and catches pre-fitted, so they are ready to fit straight into a four sided fixing frame. The corners of these frames are mitred and are easily assembled with a special corner connector. This frame can then be fixed to your window or sideways into your window recess. The shutters fit within this frame by connecting the two parts of the hinge together and dropping in a hinge pin. Both the shutter panels and fixing frames can be easily adjusted within your recess due to the fitting clearance and sprung loaded duracatches. We provide full step by step instructional video guides explaining exactly how to assemble the frame and pre-drill fixing holes along with a demonstration of how to install each type of design into your window recess. This advanced design of interior shutter provides benefit after benefit. Made from Poly Resin 3, they are tough, durable, UV, mould and water resistant and even come with an FR rating. They have one of the tightest slat closures available in a plantation shutter, making them perfect for the bedroom. They are hollow in construction so help keep the heat in and cold out during the winter. They can also be fitted in kitchens and bathrooms and, due to their durability, in children’s playrooms too. To order a set of our white plantation shutters we suggest that you watch our video guides so that you can find out exactly how to order and fit the perfect shutter. Find out more information on our shutters within the ‘How to’ section and our Blog, sign up to watch our video guides here.